These days, there are many types of desktop devices, along with the many different operating systems 10 Free Operating Systems You Maybe Never Realized Existed 10 Free Operating Systems You Maybe Never Realized Existed Chances are, your computer came with Windows or macOS. These operating systems may seem free -- but they're not. However, there are many free but relatively unknown operating systems. Let's take a look. Read More that run on them. As such, getting programs that work on all of them can be a bit of a challenge 10 Exclusive Linux Apps You Won't Find on Windows 10 Exclusive Linux Apps You Won't Find on Windows Moving from Windows, you'll find there are plenty of apps you can use to supplant your old proprietary software. You'll even find a selection of impressive applications and tools exclusive to Linux. Read More . And that’s where Electron open framework comes in, as a way of helping to solve this problem. In other words, from a developer’s standpoint, using this framework, they don’t need to worry about writing specific programs One Size Doesn't Fit All: Why Software Isn't Universally Compatible One Size Doesn't Fit All: Why Software Isn't Universally Compatible Software is the same on any operating system, right? Wrong. It might look the same, and function similarly, but it is different behind the scenes. Read More for each platform (for the most part). This comes with a host of benefits, both to users, and creators. As such, Electron open framework works similarly to how an internet browser I Switched From Chrome to Opera and I’m Never Going Back I Switched From Chrome to Opera and I’m Never Going Back Any browser works. There's only one reason to pick one over another: it's more in line with how you like to browse the web. And you might prefer Opera, too. Read More renders its web pages. That is, HTML and CSS for appearance, and JS for inner workings and operations. In fact, the framework holds many similarities to web browsers. Essentially, you’re creating powerful web pages to be used as desktop programs The Best PC Software for Your Windows Computer The Best PC Software for Your Windows Computer Want the best PC software for your Windows computer? Our massive list collects the best and safest programs for all needs. Read More . Electron does not do all its work alone, relying somewhat on the work of other software. A lot of what it can do is thanks to Google’s Chromium Is Google Eavesdropping on Chromium Users? Is Google Eavesdropping on Chromium Users? Open source developers have found that the Debian version of Chromium is downloading code from Google records the user via PC mic and streams the audio back for analysis. Is Google eavesdropping on you? Read More web browser, which it uses to process and display the applications written for it. But to call Electron merely a web browser would be selling it short. Furthermore, Electron gives people a way in which to display graphical windows and so on. This is compared to Node.js, which does not do this. It also provides specific methods to integrate better with the target operating system, such as the Macbook Pro’s Touch bar How Useful Is the Touch Bar on the MacBook Pro? How Useful Is the Touch Bar on the MacBook Pro? Does Apple's thin context-dependent OLED strip improve productivity or is it just a gimmick as some users are making it out to be? Read More . Given what this software framework is, there are a number of potential implications that come with it. A few of these will be detailed further ahead, in greater detail. Electron has already become the backbone of a number of different programs, most of which are available on Windows, macOS, and Linux This Is How Software Installers Work on Windows, macOS, and Linux This Is How Software Installers Work on Windows, macOS, and Linux Modern operating systems provide you with easy methods to set up new applications. But what actually happens when you run that installer or issue that command? Read More . As mentioned previously, since the framework is based off of web technologies, it allows software written using it a fairly high level of compatibility with each other. This can only be a good thing for users and developers alike. The fact that one needs to worry less about finding alternatives to programs helps to lower barriers for switching between operating systems. Along with this, it provides the people who write software with a higher coverage of users, with minimal effort. Discord What Is Discord? The Best Free Voice Chat for Gamers Yet What Is Discord? The Best Free Voice Chat for Gamers Yet Are you a gamer struggling to find a reliable voice chat app to talk to your friends? Struggle no more! Here are all the reasons Discord is the best chat client out there for gamers. Read More for example, a relatively new voice application, uses Electron open framework for its native apps on the desktop (mobile is a different matter). Visual Studio Code Visual Studio Code Is the Perfect Text and Scripting Editor for Mac Visual Studio Code Is the Perfect Text and Scripting Editor for Mac Microsoft's text editor supports myriad languages, and you don't even need to compare it to Xcode, since they serve different needs. Read More as well, runs using this framework, a powerful text editor in the same vein as Atom. Since Electron allows people to create applications using nothing but the languages the web is made of, it helps to lower the barrier of entry to program development. Put shortly, if you know how to write a web page How to Download a Complete Webpage for Offline Reading How to Download a Complete Webpage for Offline Reading Important information on the web could disappear with the site going down or even closing down permanently. You also may want to read content offline. Let's cover a few methods to save webpages offline. Read More , you’re most of the way to knowing how to use Electron. The fact that the same code that’s written for programs using the open framework needs (virtually) no adjusting is another notable benefit. Compare this to an application written in, say, the C programming language Why C Programming Is Still Worth Learning Why C Programming Is Still Worth Learning C is not a dead language. In fact, IEEE Spectrum magazine ranked it as the No. 2 top language in 2017. Here are five reasons why. Read More , which requires the use of another piece of software to translate it into something usable for different platforms. In contrast, all that Electron needs is its special run-time environment. A person simply needs to package their code alongside it to get an application up and running. It allows for applications to be written much more easily and quickly. As such, it means faster program development, alongside a wider user base distribution. Thanks to the technologies on which Electron is built, applications using it tend to look and behave the same, regardless of the platform they’re running on. Be that Linux or macOS Mac OS X Yosemite, From The Perspective Of A Linux User Mac OS X Yosemite, From The Perspective Of A Linux User Mac OS X is used as the poster child for a clean and elegant interface. As a Linux writer, it's my duty to make comparisons amongst Linux distros, but also against the competition. Read More , hardly anything will be different (except for the parts which are explicitly made so). This works in a similar way to how web pages are displayed on browsers How Do Browsers Display Web Pages, and Why Don't They Ever Look the Same? How Do Browsers Display Web Pages, and Why Don't They Ever Look the Same? Read More . And being based off HTML and CSS means being able to easily style applications a certain way. Using Chromium I Switched From Chrome to Opera and I’m Never Going Back I Switched From Chrome to Opera and I’m Never Going Back Any browser works. There's only one reason to pick one over another: it's more in line with how you like to browse the web. And you might prefer Opera, too. Read More as one of its main components means that it will consistently look like however said web browser would display something. All this being said, the Electron open framework may not always be useful for certain kinds of applications. Mobile developers The Best Languages for Mobile App Development in 2016 The Best Languages for Mobile App Development in 2016 The world of mobile app development is still going as strong as ever. If you want to get started, it's not too late! Here are the languages you should think about learning. Read More will have to look elsewhere, for example, since the platform is only available for the desktop. And while it’s certainly a good way of quickly writing programs, it may not be an appropriate choice for people seeking something lightweight 12 Lightest Linux Software and Programs to Speed Up an Old PC 12 Lightest Linux Software and Programs to Speed Up an Old PC Switching to Linux is a great way to breathe life into an aging machine, but it's also a lot of work! Need to lighten the load on your Linux-powered machine? Try these apps! Read More to use. 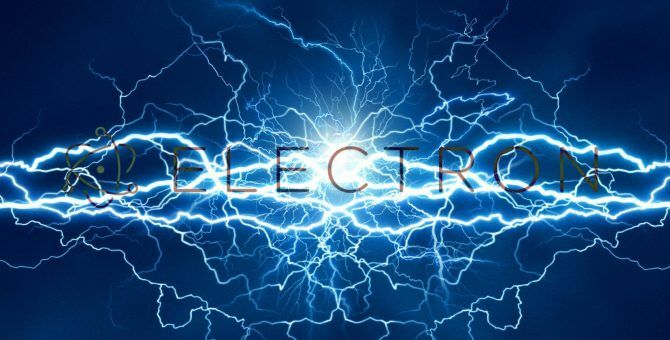 After all, despite its ability to integrate well with whatever operating system it runs on, Electron, at its core, is powered by web technologies. And Chromium (being the basis of Chrome) Why Is Google Chrome Using So Much RAM? Here's How to Fix It Why Is Google Chrome Using So Much RAM? Here's How to Fix It Why does Google Chrome use so much RAM, especially compared to other browsers? What can you do to keep it in check? Read More is not exactly known for being light on resources. So using the framework for something trivial may not be the best of choices. Again, it’s all a matter of using the right tool for the job. Would you consider using Electron open framework to develop programs, if you had the ability and time to do so? Arduino Programming for Beginners: Traffic Light Controller Project TutorialLooking for the Best Programming Languages? Start Here! Why should I learn too much languages when I can develop app and games for mobile, desktop and web in single language c# xamrin ? Can anybody answer me ? For game development which Languages is useful .where to start ? The caveats are more major than you let on. Electron apps will easily use insane amounts of CPU and RAM; I've had an Electron mail app use >100% CPU before. Electron is literal desktop cancer. The Electron open framework? I can't get over how wrong you say that. Additionally, you failed to mention the actual caveats of Electron. You also don't understand many applications still write a lot of logic in C and write node extensions for use with Electron. Leave technical articles to developers to write please. We don't need articles written for children. Explain the actual technical details of the framework and don't copy and paste high level details that anyone can find on the official site.